Another weekend comes to an end and the thought of another Monday looms. But I have Wednesday off this coming week, so that makes it a pretty easy week to get through. Today I have two shades from Dance Legend. The first one is another addition to the Binary line. 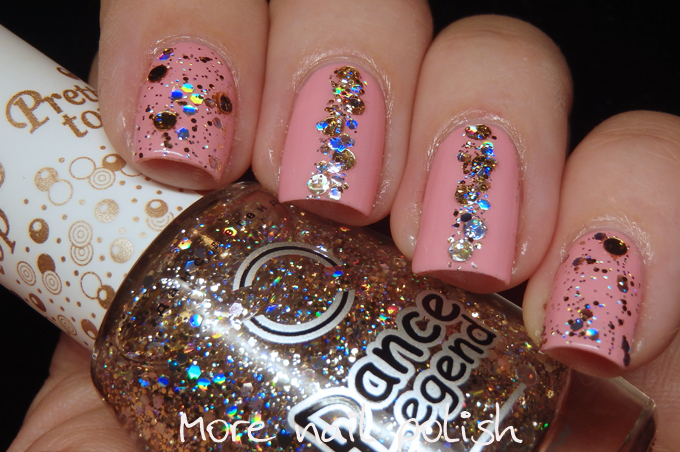 The Dance Legend Binary polishes are a gel like polish that don't require curing. 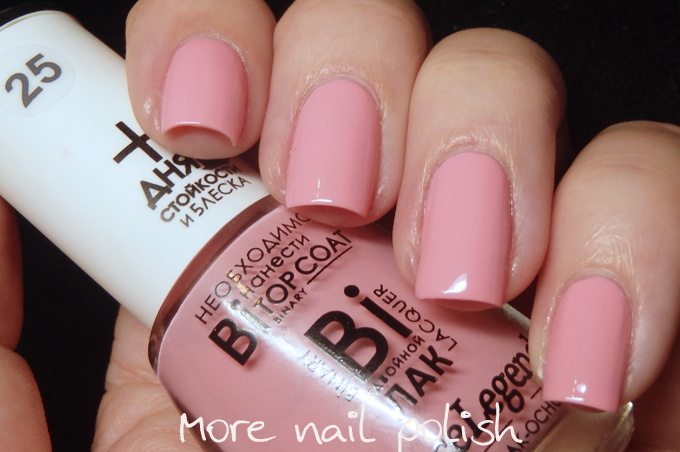 You apply the special Binary top coat and the polish gets stronger the longer they are worn. 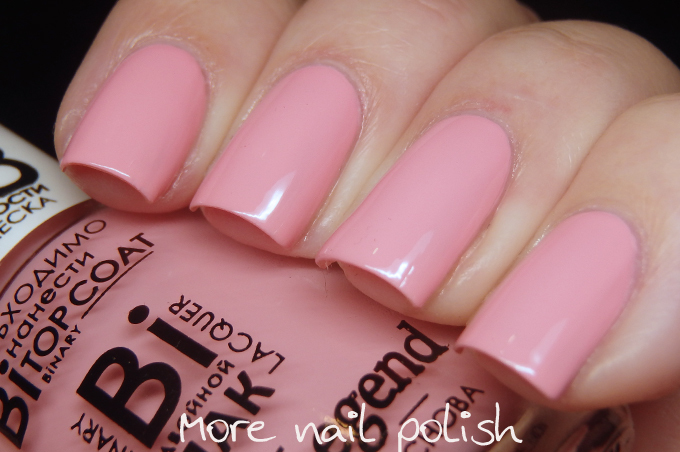 I only worn this mani for one day, but I have previous worn the Binary shades for longer and the wear is great. This is colour #25 Lilia. On top of Lilia I applied Pretty Top. Pretty Top has a clear base and if filled with gold and pastel pink holographic glitters in different shapes and sizes. Its name may not be very creative, but it certainly is accurate. 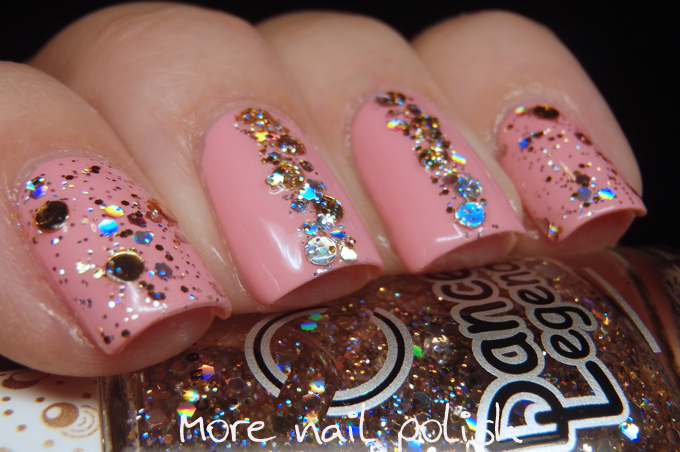 This is one pretty top coat! 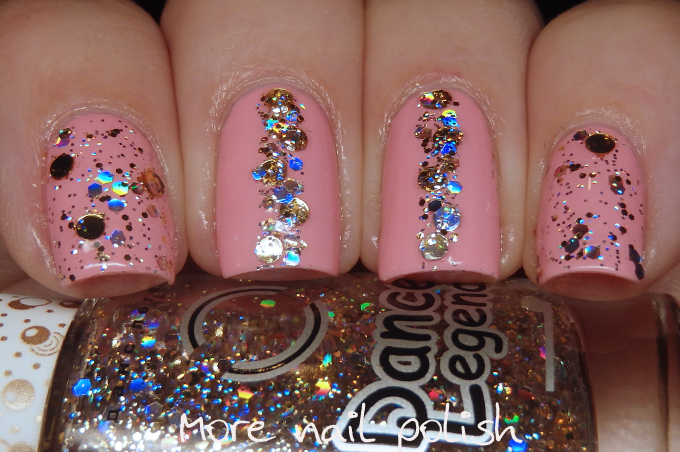 Dance Legend polishes are available from the Dance Legend website - although they are on summer holiday's right now. International shipping is only $10 for up to 10 polishes, but if it's more than 10 polishes then shipping is free! The website also has details of other international stockists. Don't forget you can connect with Dance Legend on Facebook and Instagram. These are absolutely gorgeous, and I love the way you've used them. I'm going to have to see if I can get hold of some of that glitter polish, and although I'm not really a pink person (except in October for Breast Cancer Awareness Month), I love this colour too. Thanks for sharing this with us and inspiring us to higher goals.